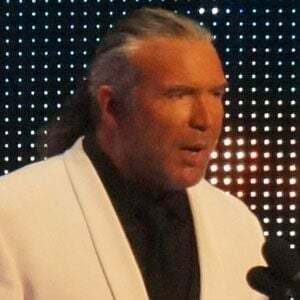 Also known as Razor Ramon, he was a longtime wrestler with the WWF and WCW. He became a WWE Hall of Fame member in 2014. He began his professional wrestling career with the National Wrestling Alliance in 1984. He was a two-time WCW United States Heavyweight Champion and a four-time Intercontinental Champion. He was married to Dana Lee Burgio twice, first from 1990-1998, then from 1999-2001. The couple had two children, Cody and Cassidy. He co-founded the New World Order (NWO) with Hulk Hogan.